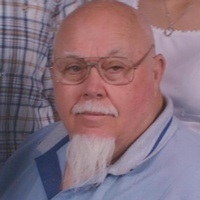 Robert “Bob” John Matthews, 77, of Trenton, passed away January 14, 2019. He was a loving husband, father, grandfather and great-grandfather. Mr. Matthews was a member of Trenton First Baptist Church. He was preceded in death by his first wife, Deloris Matthews; parents; one brother; and one sister. He is survived by his loving wife of twenty years, Carolyn Matthews; five daughters, Elizabeth (Josh) Zeller, Sandra Matthews, Donna Owens, Sheila Bates and Melissa Batie; four sons, Michael (Karen) Bates, Robert Sullivan, John (Toni) Matthews and E.L. Bates; several grandchildren and great-grandchildren; sister, Betty Swinford; and a host of friends. Funeral services will be held at the Trenton Chapel on Friday, Jan. 18 at 3 p.m., with Brother Eddie Cantrell officiating. Burial will follow in Deer Head Cove Cemetery. The family will receive friends on Thursday 4-8 p.m. and on Friday from 1-3 p.m.
Funeral arrangements made by Moore Funeral Home, Trenton.